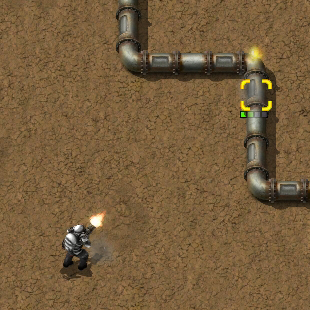 The Pistol is the most basic weapon in Factorio. In Freeplay mode, the player starts with a pistol and 10 firearm magazines. The Pistol can only handle the smallest of enemy threats and the player will frequently take damage when trying to use it for self-defense. It is recommended to upgrade to the Submachine gun as soon as possible. This page was last edited on 7 July 2018, at 19:22.